Rose Blossom Legacies: Hip Hip Hooray! I've had some Dakota scraps sitting on my desk, and I have been mulling over what to do with them. I've the colors of the papers, but no ideas were coming to me. 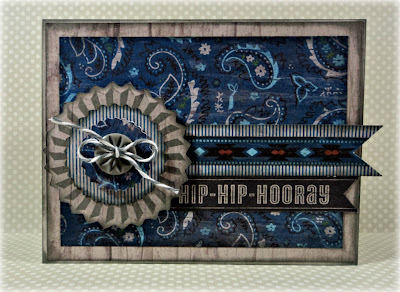 Finally today, I sat down and put a card together - yippee!! Along with Dakota paper, I used a couple of stamps from the Cricut Artiste collection. I cut three of the medallions to stack them and the bottom one is stamped. There really isn't much to this card, but it all came together quite nicely. Come back tomorrow for the 1st Cut it Up Challenge! I can't wait to show you what I've made!! How did I miss this? Love it. 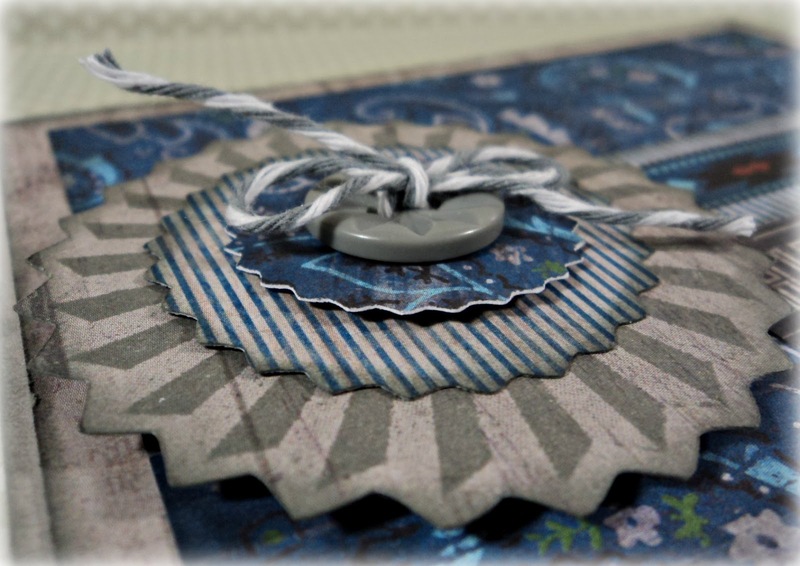 Very cool how you stamped the medallion on the patterned paper. I haven't even inked that one up yet, but that's gonna change after this inspiration!